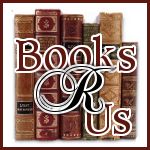 Ginger High- Books R Us: HELP RAFFLECOPTER NAME THEIR MASCOT-IPAD2 AND KINDLE GIVEAWAY. HELP RAFFLECOPTER NAME THEIR MASCOT-IPAD2 AND KINDLE GIVEAWAY. If you refer the winner, you win a Kindle Fire for yourself. BOOM! Look out – It’s raining prizes! Please say (EILEEN- BOOKS R US) sent you in the referral link (Rafflecopter form below) in this giveaway. Thank You & Good Luck! Eileen from Books R Us sent me here for a chance to win an iPad2 and a kindle fire!!!! Raffle copter just works!!! Don't change it.